Bruni, was involved in an accident with the prototype LMP2 car of the KCMG team. This had stopped on the track because of a technical problem but fortunately the incident was without consequences for the two drivers. It was really hard for “Gimmi” Bruni to avoid contact from the moment that he found the prototype directly in his path. As such both cars were forced to retire. 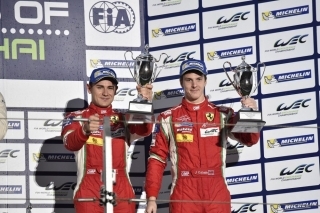 In the professional category, the number 71 run by AF Corse and driven by youngsters Davide Rigon and James Calado, took third place. The win went to the Porsche of Makowiecki-Pilet who came home ahead of the other Porsche in the hands of Bergmeister-Lietz. Gimmi Bruni “It was really unlucky to find a car stopped on my line right at the exit of one of the high-speed corners; I had regained some positions and at that point I was in second place, battling with the Aston Martin until the contact with the prototype. Luckily I’m fine. In the LMGTE Am category, the only car representing Ferrari was the 458 GTE of the 8 Star Motorsports team driven by Roda, Ruberti and Cressoni that took third place. First and second places went to number 98 and 95 Aston Martins, both run by the Aston Martin Racing team. The overall victory went to the Toyota number 8 driven by Davidson and Buemi. the next round will take place in Bahrain on November 15 while the last round will be held at Sao Paulo in Brazil on November 30. 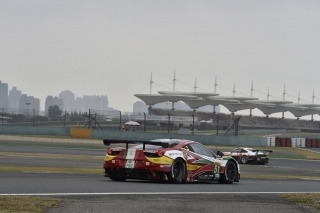 Despite the bitter outcome of the Shanghai round, it’s all still to play for and Ferrari will do everything to bring home success in the three leading categories for GT cars. 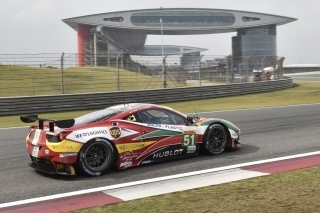 Maranello, 01 November – In qualifying on the track at China’s International Circuit, the Ferrari 458 Italia GTE cars struggled to find the right set-up. 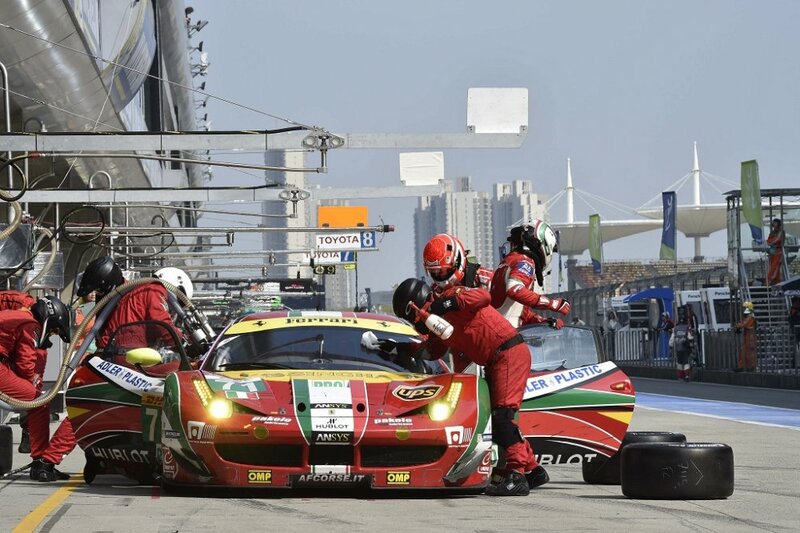 In the LMGTE Pro category the championship leading AF Corse team with Bruni and Vilander’s car number 51 and the number 71 Ferrari driven by Rigon and Calado could do no better than 4th and 5th places, just like at Japan’s Fuji circuit. Pole position was again taken by Aston Martin, whose cars will start from the front tomorrow in both the Pro and Am classes. In the LMGTE Am category, the 458 Italia GTE number 90 of the 8 Star Motorsports team driven by Roda, Ruberti and Cressoni, the only car representing Ferrari in this class, took 4th place. 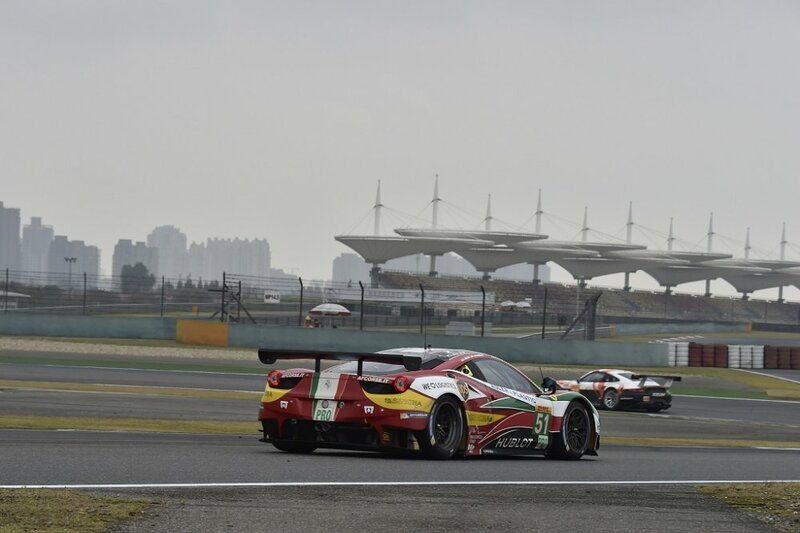 The 6 Hours of Shanghai gets under way tomorrow at 11am local time. 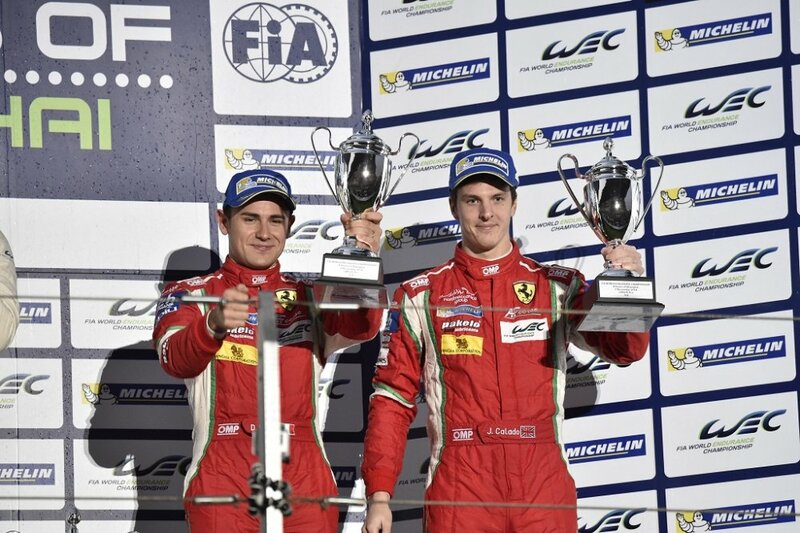 What’s certain is that AF Corse and its drivers will be very determined to give their best to bring home a great result, of the kind that could end up truly important for “Gimmi” Bruni and Toni Vilander. 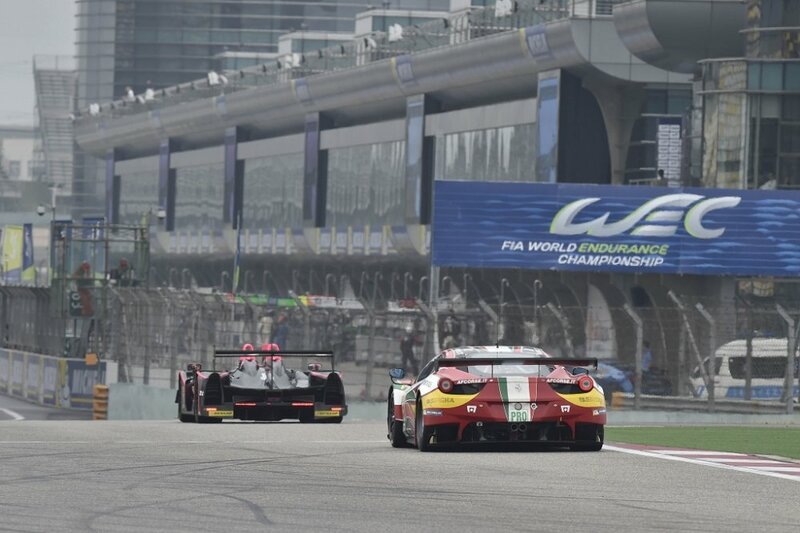 Maranello, 31 October – This weekend the World Endurance Championship gets going again with the 6 Hours of Shanghai at the Chinese city’s International Circuit. The race offers Italy’s “Gimmi” Bruni and Finland’s Toni Vilander their first chance to seal the title, which would thus arrive with two races to spare. The 458 Italia GTE drivers need to secure a handful of points more than the Porsche number 92 of Team Manthey driven by Frenchman Frederic Makowiecki, who will race in partnership with his fellow countryman Patrick Pilet. The advantage held by the car number 51 of the AF Corse team currently stands at 49.5 points. Also racing in the same category are the Scuderia Ferrari’s test driver Davide Rigon alongside Britain’s James Calado, who are returning from a podium in the race at Fuji and currently stand in 10th place in the championship race. Team and constructors. If the joy of the world title could therefore arrive for Bruni and Vilander this weekend, you could say the same for the championships for constructors and teams. Ferrari has a 29-point lead over Porsche and 54 over Aston Martin, which is almost out of contention. In the teams competition, meanwhile, AF Corse is 36 points ahead of Team Manthey, which runs the Porsche cars, and 39 clear of Aston Martin. Am Category. 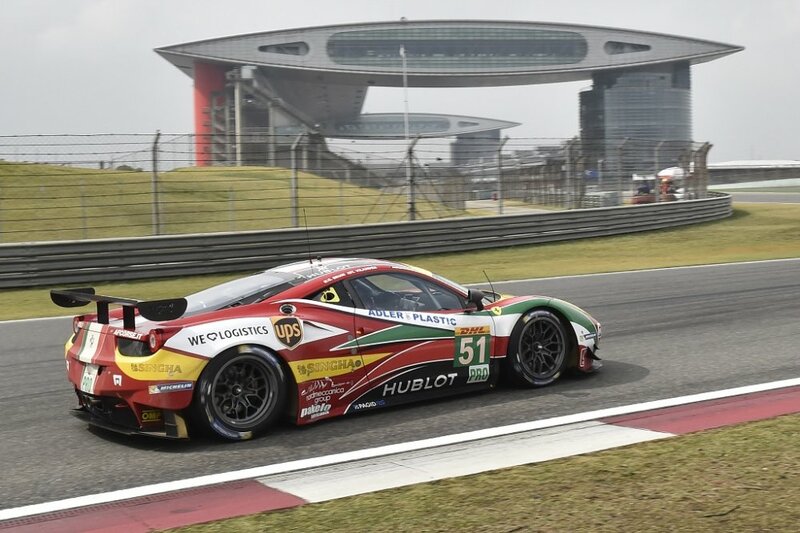 Ferraris are in short supply in the GTEAm category at Shanghai, where there will just be one car, the 458 of the 8 Star Motorsports team in the hands of Italian drivers Gianluca Roda, Paolo Ruberti and Matteo Cressoni. It was in fact in this category that Ferrari took its only victory at this track. In 2013 the win went to 8 Star Motorsport itself with Davide Rigon, Portugal’s Rui Aguas and Venezuela’s Vicente “Enzo” Potolicchio. Final free practice and then qualifying is scheduled for tomorrow. The race will start on Sunday at 11am local time, which is 4am in Italy.